Welcome to Atonement Lutheran Church. We’re glad you stopped in for a visit! Founded in 1966, Atonement Lutheran is a congregation of the Evangelical Lutheran Church in America. See our 50th Year Celebration 2016 fun facts, photos and videos! Worship on Sunday mornings is at 8:00 and 11:00, with an education hour and Adult Forum from 9:30 to 10:30. Classes are available for Grade School, Confirmation and High School-aged Youth during the school year. Any month that has a fifth Sunday, the service will be at 10:00 a.m., with coffee and refreshments after. There will be no Education time or Adult Forum with these services. Words of the Week (“The WOW”) is our weekly announcement sheet. It is part of the Sunday morning bulletin, but also available here in case you missed worship.WOW issues are stored by month under “Archives” (in the right margin of this site’s pages) or click on “Blog” in the menubar. Makin’ Waves is our monthly newsletter. We send the newsletter out to all friends and members of the congregation who wish to receive it, but it is also available here in full color in Adobe Acrobat format. Makin’ Waves issues are stored by month under “Archives” (in the right margin of this site’s pages) or click on “Newsletter” in the menubar. The Monthly Church Calendar is part of our newsletter, Makin’ Waves. You will find it near the end of the newsletter. Print it off and hang it on the frig. We at Atonement Lutheran Church reach out with the good news of God’s love through Jesus Christ. Christ’s ministry includes everyone, we, too, welcome persons of any ethnicity, gender identity, race, sexual orientation, marital status, age, economic situation, and physical or mental ability. 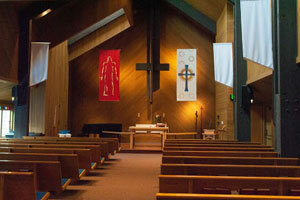 All are welcome to join us for any and all activities held at Atonement Lutheran Church!